Each academic discipline has its own citation style. Here at LSCO, all of your classes will fall into one of two major disciplines: Humanities, such as English, Arts, Music, or History; and Sciences. 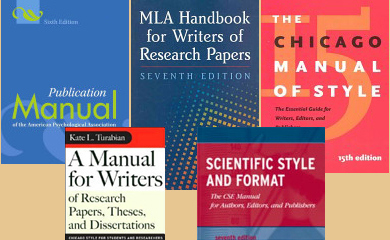 Your instructor will tell you which citation style you should use for your class assignments. For subjects in the Humanities, refer to the MLA guide (Modern Language Association) for instructions on how to format and cite your papers. 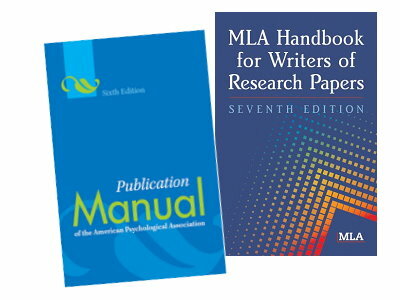 For subjects in the Sciences, refer to the APA guide (American Psychological Association) for instructions on how to format and cite your papers. ⇒ Gives credit to authors whose works you have used (whether you quote them or not). ⇒ Provides a trail by which others can locate the materials you consulted. ⇒ Provides evidence of your research. ⇒ Properly citing materials is one strategy to help you avoid plagiarizing. This tutorial is about using quotes or ideas from your sources in your paper or presentation. Incorporating your research quotes and paraphrasing into your paper can be tricky. Watch this tutorial for a few tips on how to smoothly integrate your research into your paper.